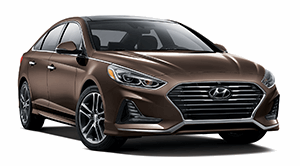 BlueLink® opens up a new dimension of connectivity between you, your Hyundai and your world. and your vehicle in touch, even when you're not. 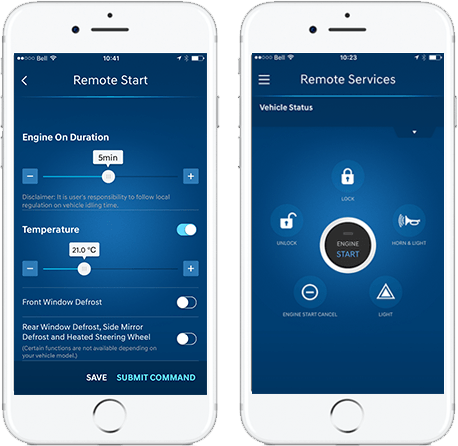 Not only can you start your Hyundai remotely with the BlueLink mobile app, you can also set the engine timer, cabin temperature and even turn on the heated steering wheel. You can save up to three favourite settings to make it even easier to start your car the way you like. If you change your mind, click a button and stop the engine. Who needs keys when you have an app? Conveniently lock or unlock your car remotely using the BlueLink mobile app on your smartphone. Your doors are locked, unlocked, or open. Your trunk or hood are open or closed. Your engine, climate, rear defrost and heated steering wheel are on or off. Your car is low on gas. We have you covered. BlueLink will show you your car’s location on a map and give you directions to get there. If you still need help once you get closer, you can flash the lights or honk the horn. BlueLink also has a parking timer that lets you set an expiration alarm and reminder. Help is ready all day, every day. 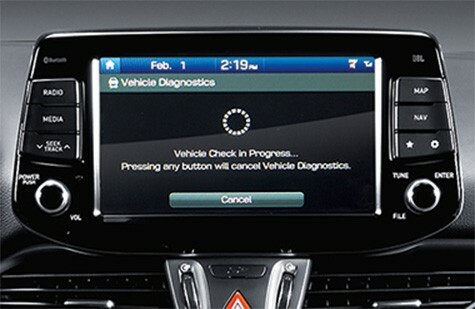 Your rear-view mirror has buttons to immediately connect you to Roadside Assistance or emergency services. 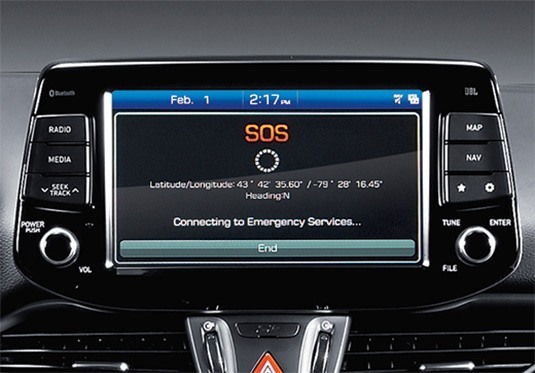 In the event of a collision, your vehicle will automatically call for emergency services. Find the best of whatever you like, wherever you areΩ. With local Search powered by Google™, simply push a button and say your point of interest or category. BlueLink will quickly return results with addresses, hours of operation and phone numbers that you can call with your connected smartphone with the push of a button. Select your destination and your navigation system will guide you there. 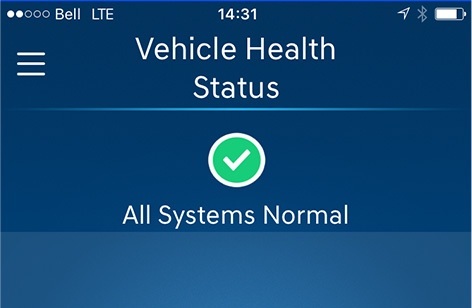 Simplify maintenance with a vehicle health evaluation of key performance systems and driving statistics delivered to your email or check it out in the BlueLink mobile app. 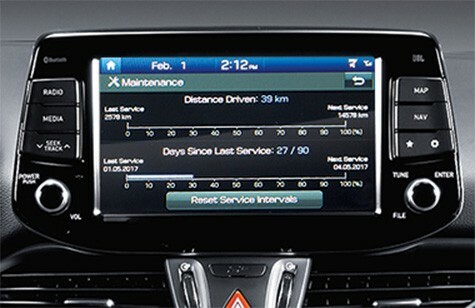 You can track your maintenance and set reminders to make sure your vehicle is taken care of. Worried that something might be off? 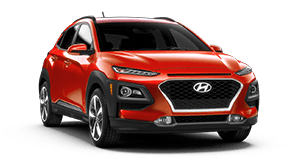 Access on-demand diagnostics from your vehicle’s touchscreen display and make sure everything is OK.
BlueLink will show you all the nearby Hyundai dealerships along with their contact information and hours of operation. 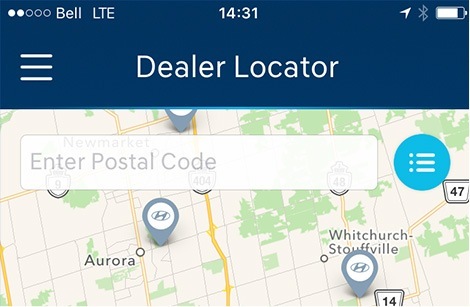 Set a favourite dealership to always have them just a button push away. *Before using the remote start feature, ensure the vehicle is parked, in the proper gear, under conditions that make it safe to start the engine and that starting the vehicle will not violate any regulation, ordinance, or other law. †Operation of this feature is dependent on the vehicle and all corresponding devices being in functional condition and with access to sufficient cellular and GPS coverage. When an emergency signal is received, a third party responder will respond to your emergency. 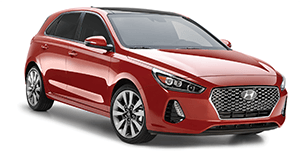 Hyundai Auto Canada Corp. is not responsible for the manner or timeliness of such third party response. ^Operation of this feature occurs in the event of a collision that triggers the deployment of airbag and is dependent on the vehicle and all corresponding devices being in functional condition and with access to sufficient cellular and GPS coverage. When an emergency signal is received, a third party responder will respond to your emergency. 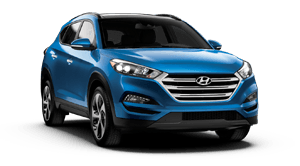 Hyundai Auto Canada Corp. is not responsible for the manner or timeliness of such third party response. 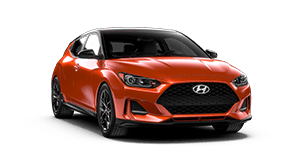 Ω Only available with certain models and trims that are equipped with onboard Navigation system.